Former Managing Director of IBM India Pvt. Ltd Shanker Annaswamy was the Managing Director of IBM India Private Limited and the Regional General Manager of IBM in India/South Asia (2004-2012). He served as the Senior Advisor – India Enterprise (Jan 2013-Sep 2014). Before joining IBM, Shanker was the President and CEO for GE Medical Systems, South Asia and the MD of Wipro-GE Medical Systems. 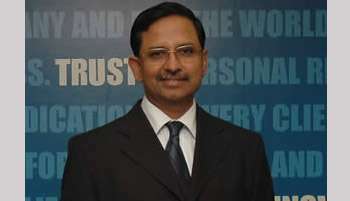 He is currently on the board of HealthCare Global Enterprises Limited (HCG), TransUnion CIBIL Limited (formerly Credit Information Bureau India Limited) and IndusInd Bank Limited as an Independent Director. He has held positions of eminence in key industry forums. Shanker was conferred the best CEO – Multinational Company Award as part of Forbes India Leadership Awards 2011 for Transformational Leadership. Shanker holds a Bachelor’s degree in Engineering from Madras University and a Diploma in Business Management from AIMA, New Delhi.